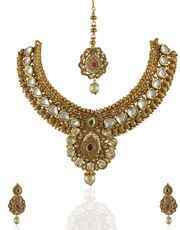 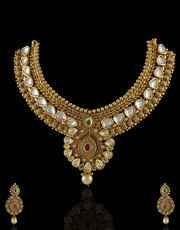 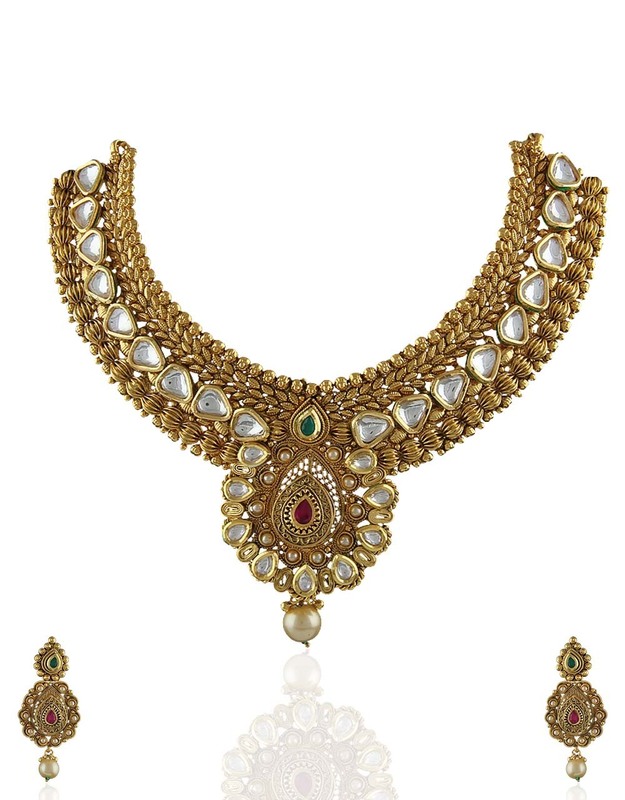 Get that perfect royal look by wearing this kundan studded designer necklace set from Anuradha Art Jewellery. 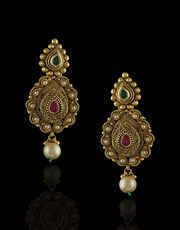 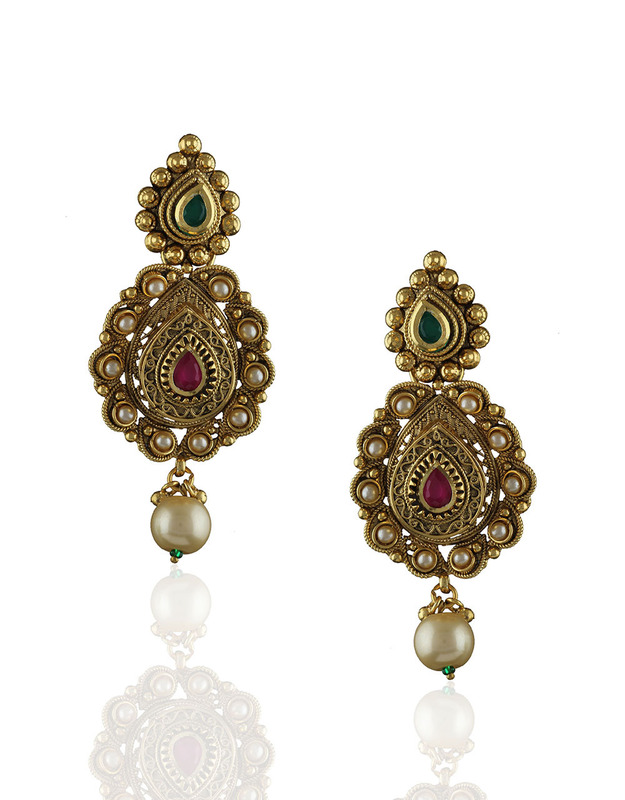 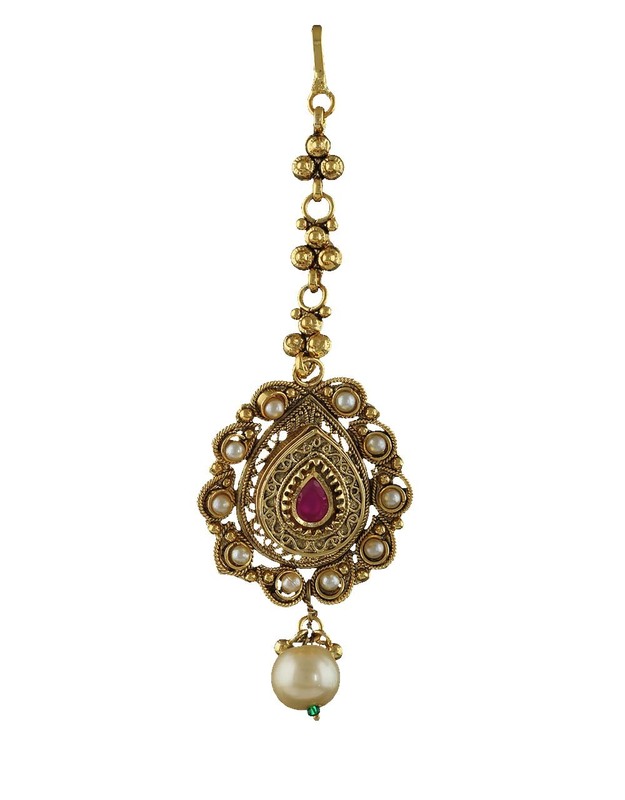 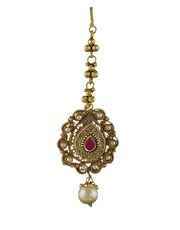 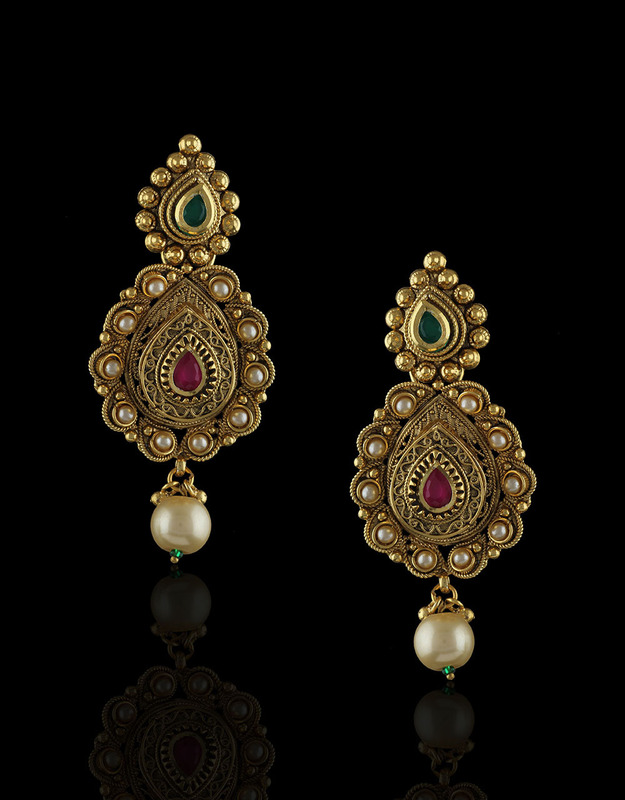 It is studded with beautiful kundan, ruby & emerald stones. 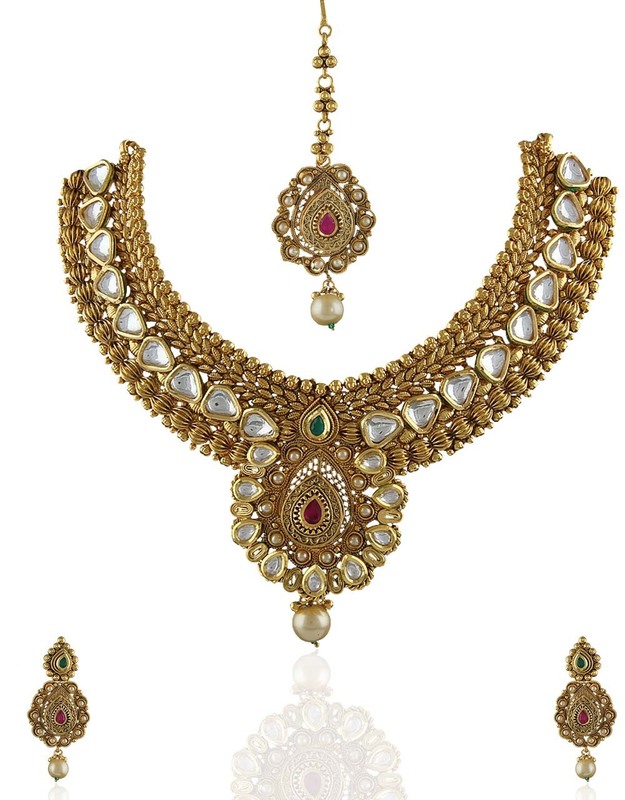 This classic design set is fashioned from 40% silver & antique golden polished metal. 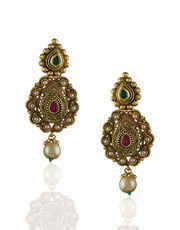 It is good in quality & will be your companion for many years.